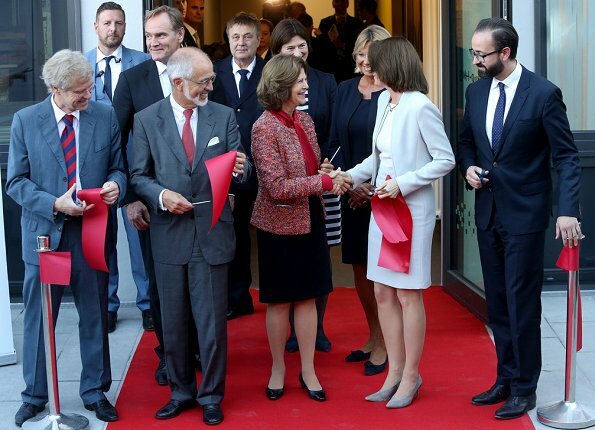 On September 27, 2018, the first Barnahus (Children´s Advocacy Center) of Germany was opened in Leipzig. 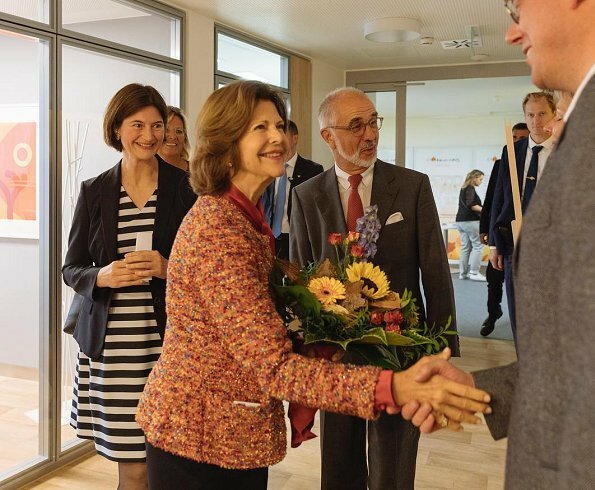 Swedish Queen Silvia who is the founder of The Childhood Foundation attended the opening of Childhood-Haus. 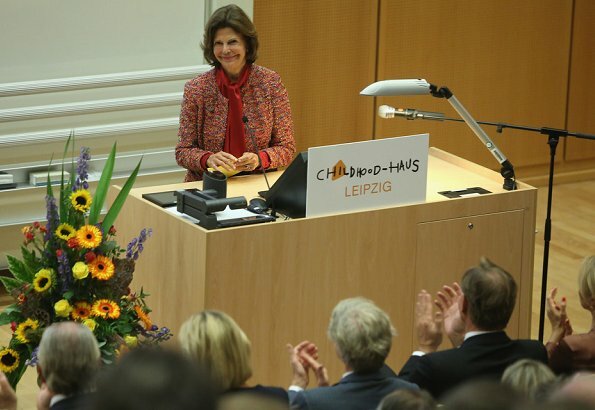 Germany’s first Barnahus was opened by Childhood Germany in cooperation with the Klinik und Poliklinik für Kinder- und Jugendmedizin (Hospital and Polyclinic for Children’s and Youth Medicine) at University Hospital Leipzig. 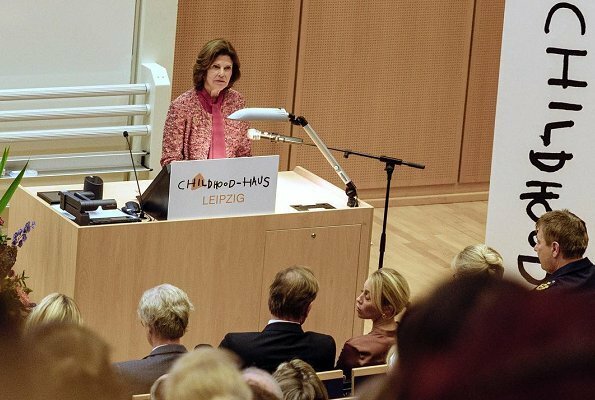 The Childhood House is one of around a thousand projects around the world run by the World Childhood Foundation, which was founded in 1999 by Queen Silvia to protect children's rights to a safe childhood, as well as highlight issues concerning the sexual exploitation of children. 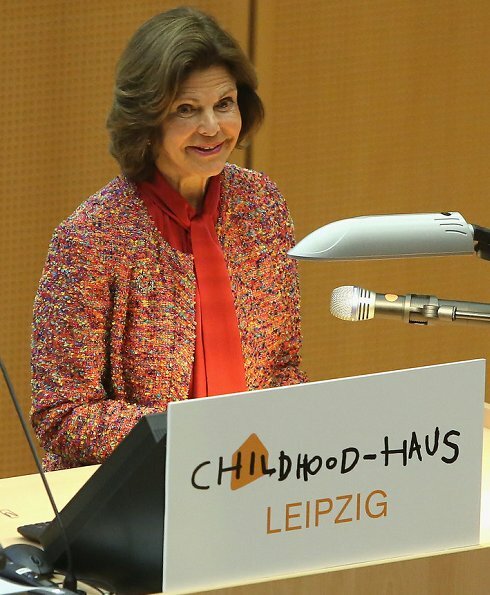 What a worthy cause at Childhood House Leipzig.The Queen seems to be happy. 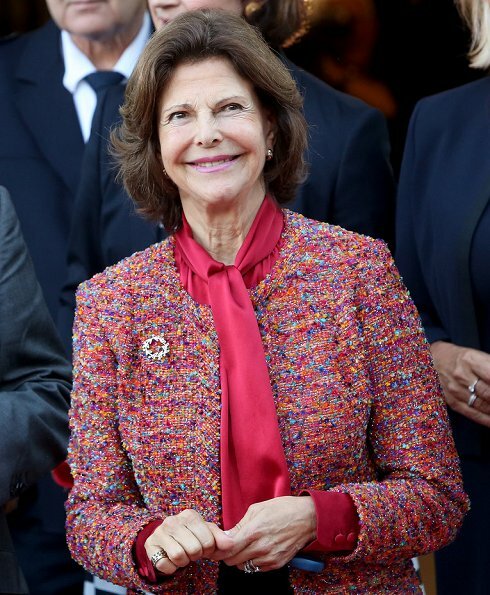 Love her Jacket also nice combination of red and black. 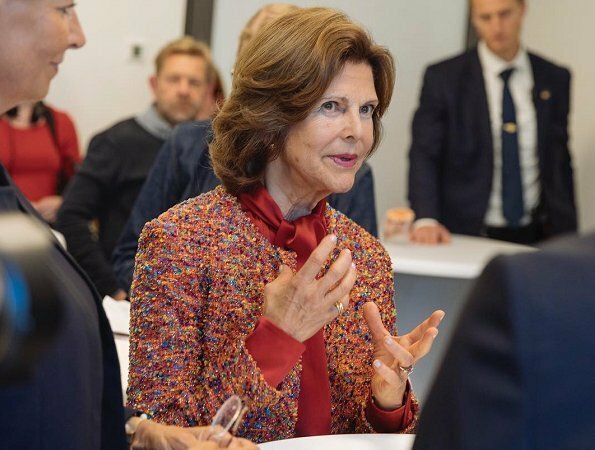 Queen Silvia has amazingly thick hair. Wow. 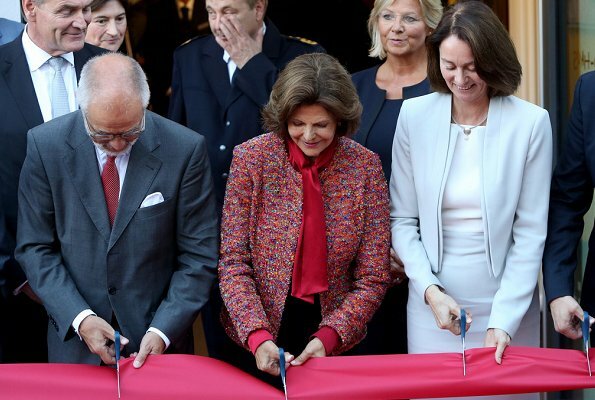 The lady in light blue is very elegant as well. Nice shoes. 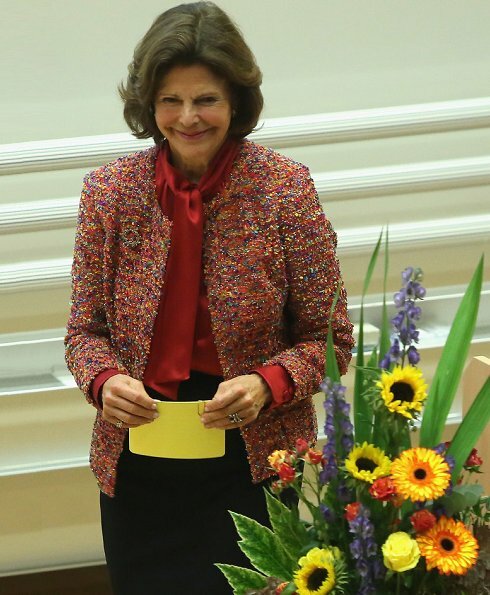 Queen Silvia seems to be a very warm person with a wonderful spirit. But her fillers or other doctor treatments start to bring a very strange look onto her face sometimes. 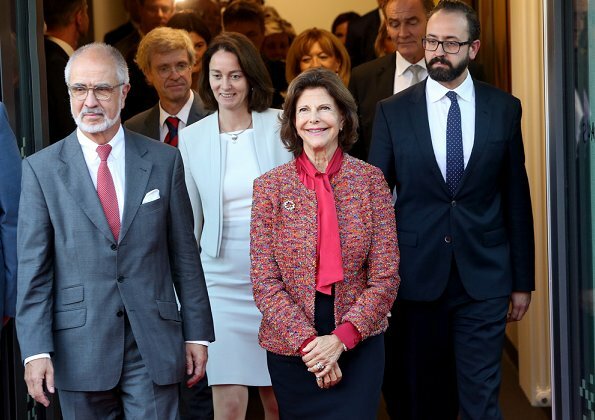 For me the best example for getting older in grace with the true signs of aging is princess caroline or the former queen paola. T me the sign of grace and class is to keep your negative opinions to yourself.